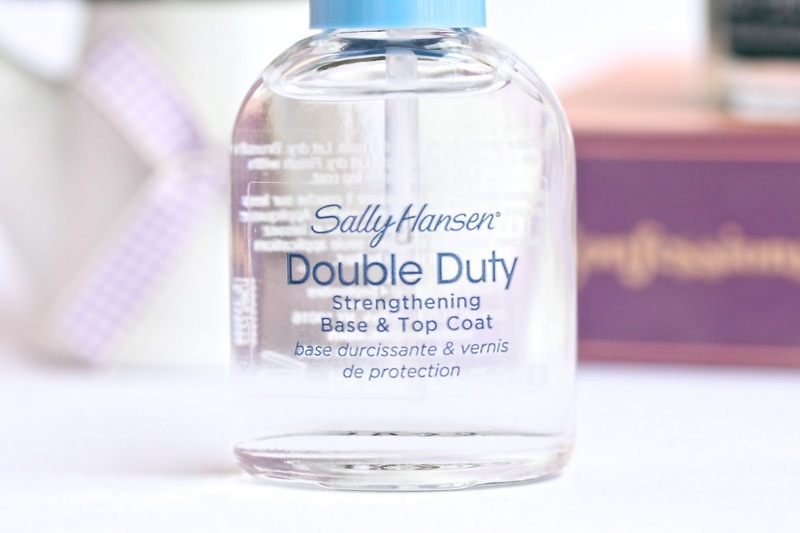 When I first heard about this Double Duty Base & Top Coat from Sally Hansen I was instantly intrigued. I love me a good multi-tasker and if it really strengthens my nails and makes my polish shiny - I am sold. Long story short, this is my third bottle of the stuff and I don’t see it going anywhere any time soon – it is just brilliant. Double Duty is pretty much self-explanatory – it is an all-in-one base and top coat for your nails. Using as a base, the product is designed to hydrate and nourish the nails thanks to the Pro-Vitamin B5 (Panthenol) in it. I love this base because it smoothes out the surface of the nails, making the application of the actual nail polish super easy and effortless. 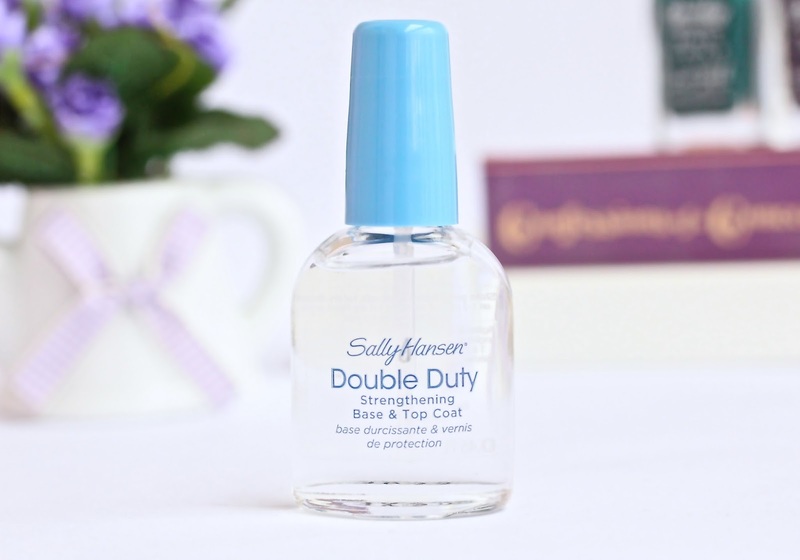 Double Duty also protects the nails from staining and actually helps keeping them strong and brittle-free. With the time, I’ve definitely noticed that my nails have become a lot stronger and they are less likely to break. As much as I love using Double Duty as a base, I have to admit that I love it even more as a top coat. It protects the nails with Nylon, which is a well-know nail hardener and it also helps my nail polish to stay on longer. When the nail varnish is locked between the two layers of Double Duty, it usually lasts on my nails with minor chipping or tip wear for about 10 days! Impressive, isn’t it! The reason I adore Double Duty so much is because of its thick formula it makes my manicure look as if it’s gel and I always get asked which salon I go to get my nails like this haha. The product also gives absolutely beautiful high-gloss shine and it’s only comparable with Seche Vite in my books. The only bug-bear of Double Duty has to be that it takes a while to dry but I am honestly willing to overlook this because of the amazing results it gives. Fancy super shiny, long lasting manicure that looks professionally done? If yes, let me tell you – this multi-purpose gem is all you need! It is cheep and cheerful, works a treat and I love it to pieces! Have you tried Double Duty before? How do you like it? Which is your favorite base / top coat? Stunning, ive been looking for a good & cheap top coat for a while!! I tend to use this product as well as it's cheap and a good top coat also it's so easy to get my hands on. I do find that you have to use it quite quickly if not it gets all messy. This sounds lovely and such a great review and I have been needing a good top coat and it is double purpose. I'd love to try this out - it sounds great as a top coat! I've never tried this before, and I'm very lazy with my nails. 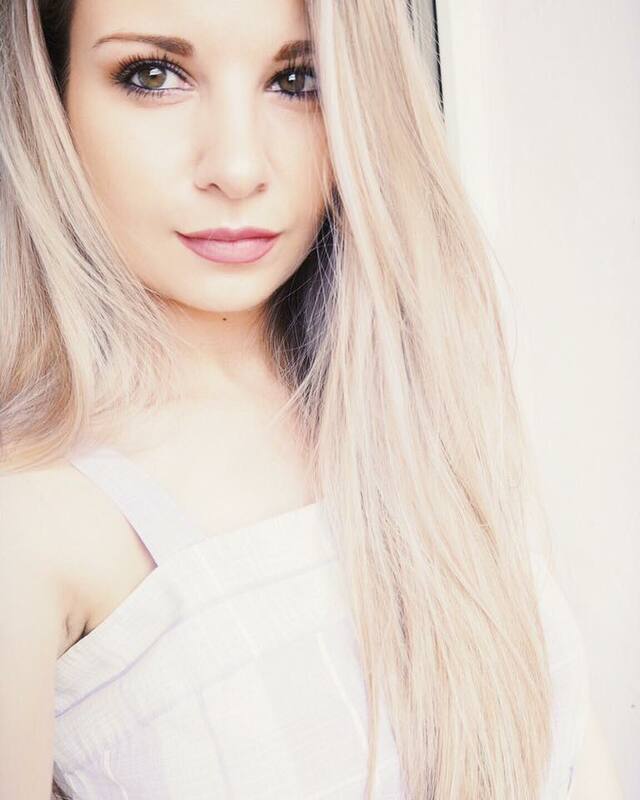 I just use the Formula X Nail Hydrator from Sephora and then use colour. I've been using this for a year as a base coat. To be honest, I can't use it as a top coat because I have Seche Vite and it dries so much quicker. Great review! I've used this before and totally loved it. The only product that I used up before it went gloopy. I literally just used this about an hour ago when painting my nails! I do agree that it is a wonderful product even though it isn't the fastest drying. If you want a quick dry topcoat Essie's Good to Go is wonderful! College as well as much more. You could play trick vivavideodownload and also apk data dimension. This is just one of the wagers.